The issue of vegan calcium is a bit complex because you have to factor in bioavailability. Our bodies have a biological need for about 250-300mg of calcium per day. The calcium RDA was set based on dairy as the source of calcium. About 1/3 of calcium from dairy is bioavailable, meaning that our bodies can absorb it, hence the RDA of 1000mg. Some vegan sources of calcium have a higher bioavailability than dairy. So, if you ate 2 cups of collard greens, you would meet your biological needs for calcium but still fall below the RDA of 1000mg per day. In determining these best natural vegan sources of calcium, I factored in the amount of calcium in the food as well as the bioavailability. Sorry to break it to you vegans but, if you don’t eat leafy green vegetables, you are probably going to have a hard time meeting your calcium RDAs on a vegan diet! There are many types of seaweed and most contain a notable amount of calcium. 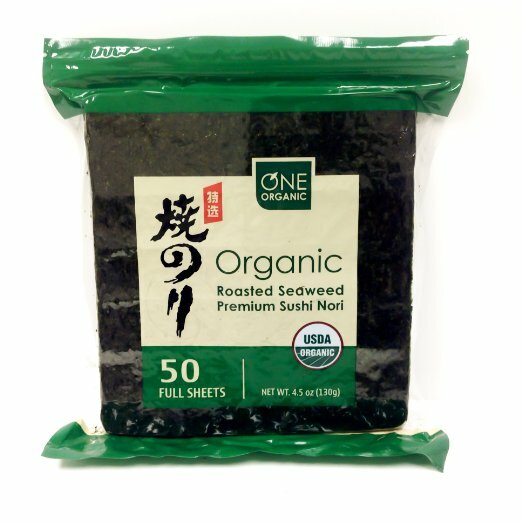 Because seaweed has low levels of oxalic acid and phytates, we can assume that this calcium is getting absorbed. Seaweed also contains many trace minerals which are important for bone health. Maybe that is why people in Eastern Asia has such a low rate of osteoporosis than in the West even though they don’t consume much dairy. 1 cup of prunes contains about 100mg of calcium, or 10% of the RDA. There is some phytic acid in prunes which may reduce calcium absorption, but there is also evidence from a study which found that eating prunes is linked to higher bone density. It isn’t just the calcium amount in prunes which matters for bone health. Prunes also contain high amounts of polyphenols which are important for bone health. 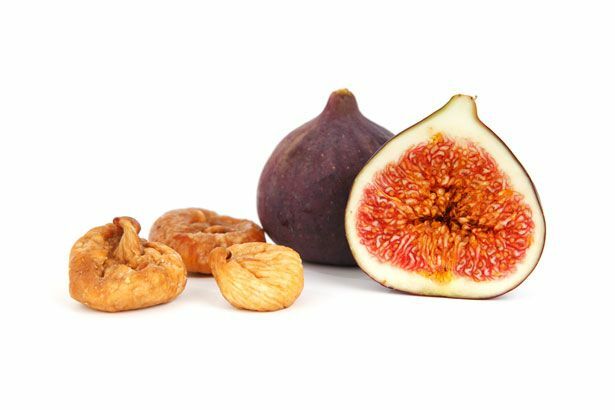 Raisins and dried figs are also high in calcium and polyphenols, so they are also good vegan sources of calcium. 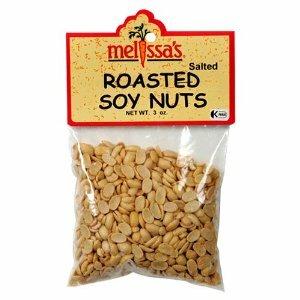 1 cup of roasted soy nuts provides about 240mg of calcium. Because of the oxalic acid content of soy beans, much of this calcium isn’t absorbable. However, when you roast soy beans, it destroys some of the oxalic acid so the calcium is better absorbed. This makes for a great calcium-rich vegan snack. As you can see from the calcium table below, beans don’t provide much bioavailable calcium because they have so much phytic acid. However, if you soak and sprout beans, you will significantly reduce the amount of phytic acid and thus get more calcium from them. *When soaking beans for cooking, put a splash of apple cider vinegar in the water. This breaks down more phytic acid. Also remember to throw out that soaking water (give it to your plants) and cook it in new water. 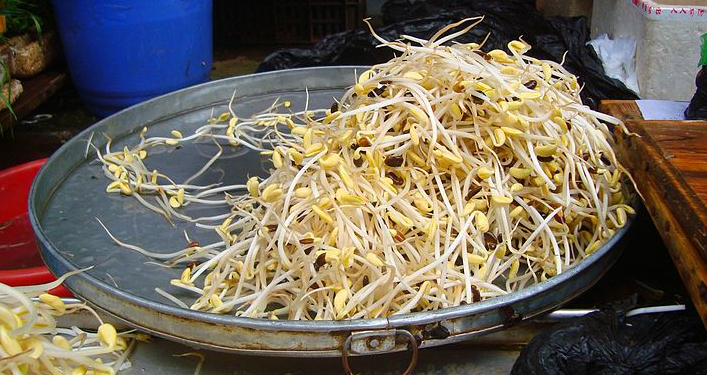 Like sprouting, soaking also reduces phytic acid content in foods like nuts, legumes, and beans. Almonds are particularly loaded with calcium (about 378mg per cup!) and soaking them will help you absorb this calcium. Raw food recipe books have some great ideas of things to make with soaked nuts, like pie crusts and cheese-like spreads. 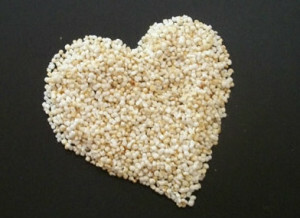 Amaranth is an ancient grain which contains high amounts of protein, iron, and magnesium. One cup also provides about 110mg of calcium. While there is phytic acid in amaranth grain, soaking and cooking will reduce the levels and help you absorb the calcium. You should always aim to get your calcium from natural sources. Natural sources of calcium will have cofactors which aid in the absorption of calcium. You probably already know that Vitamin D is important for calcium absorption (which unfortunately isn’t found in many vegan foods so you’ll need to get out in the sun more!) and also magnesium. 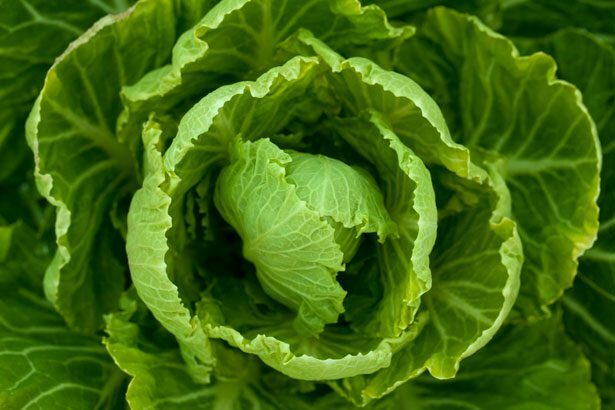 Not as many people know the importance of Vitamin K for bone health. It basically acts like a shuttle and takes calcium where it needs to go. Vitamin K is found in high amounts in leafy green vegetables — one more reason that greens are such a good vegan source of calcium. Read more about Vitamin K here. If you do decide to take a calcium supplement, I’d recommend taking one which also contains Vitamin D, magnesium, and also vitamin K2. 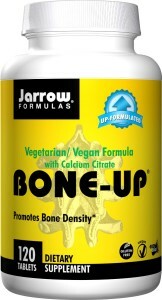 Jarrow makes a good vegan supplement called Bone Up which you can buy here. Note that there is two versions: vegan and non-veg. You can find other recommended vegan bone health supplements here. As a vegan, you probably get asked about how you get protein all the time. Few people will ask you about where you get your calcium. While there are plenty of plant-based sources of calcium and fortified foods which contain calcium, the scary truth is that many vegans may not be meeting their calcium requirements. Here are some important facts you need to know about calcium as a vegan. Vegans like to tout their diet as being the healthiest, and point out that all the nutrients in an omnivorous diet – with the exception of B12 — can also be found from plant foods. This is true, but it doesn’t mean that it is easy to get all of those nutrients on a vegan diet. Calcium is one of those nutrients which may be hard for vegans to get. Numerous studies have found that vegans (though not necessarily vegetarians) are at a higher risk for osteoporosis, fractures, and low bone density. It isn’t just low calcium intake which is causing the increased risk. Vegan diets can also be low in magnesium, vitamin D (good luck getting enough from sunlight in the winter! ), and vitamin K2 – all of which are very important for absorbing and utilizing calcium. This doesn’t mean that all vegans are going to get osteoporosis or suffer from weak bones. But it is something that vegans should acknowledge so they make sure to get enough calcium and bone nutrients. For a long time, vegans have clung to the belief that high-protein diets acidify blood and cause calcium to be leached from bones. Thus, many “experts” claims that vegans need lower amounts of calcium because their diets don’t have as much protein. The bottom line? Don’t skimp on the calcium. Or the protein for that matter! If you are vegan, then you should know what bioavailability is. Basically, bioavailability means how well your body absorbs a certain nutrient. Not all sources of a nutrient have the same bioavailability. For example, spinach is often cited as a good source of calcium. 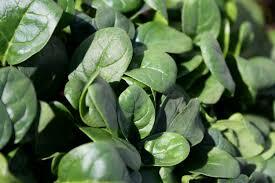 While spinach does contain a lot of calcium, your body only absorbs a fraction of this calcium – about 5%! We have a biological need for about 250-300mg of calcium per day. When calculating RDAs, agencies go by averages and estimates based on what “normal” populations eat. The calcium RDA in the USA for most adults is set at 1000mg. This is because they know that about 1/3 of the calcium from milk is absorbed by our bodies. So, if you get 1000mg of calcium from milk and absorb about 1/3 of it, you will meet your biological needs. Don’t worry. There are plenty of bioavailable sources of vegan calcium (click the link to see them and a bioavailability chart). One of the best vegan sources of calcium is turnip greens. 1 cup of cooked turnip greens has more bioavailable calcium than milk! As far as bioavailability goes, calcium from plant milks is just as good as the calcium from diary: your body will absorb about 1/3 of the calcium. Note that plant milk is not a “natural” source of calcium – the calcium is only in fortified plant milks! Unless you are eating several cups of cooked leafy greens per day, you’ll probably want to choose a fortified plant milk or other fortified vegan foods to help you meet your RDAs. See these calcium vegan meal plans to see how you can get enough calcium on the vegan diet. Unless you live in a sunny paradise where you can walk in bare sleeves all year round, you might not be getting enough vitamin D during winter. You only really need about 10-30 minutes of exposure to sunlight in order to get enough vitamin D. But those calculations were made based on the idea that your skin is exposed – not just your face exposed while the rest of you is wrapped up in bundles of jackets and hats. If you have dark skin, then you are going to need even longer exposure to sunlight in order to get enough vitamin D.
Also remember that vitamin D can’t go through windows – so sitting in a sunny spot inside won’t help you get vitamin D. Absorption is also hindered by sunblock. Vegans aren’t the only ones at risk of vitamin D deficiency. The problem is so widespread that the Journal of Clinical Nutrition called it a pandemic! Find out other reasons you might not get enough vitamin D here. I take a vegan vitamin D supplement during winter to make sure I get enough of this crucial bone nutrient. You’ve never heard of vitamin K2 before? Until recently, even researchers didn’t know about this vitamin and its crucial role in our bone health. Vitamin K2 basically acts like a public transportation system for calcium. You consume calcium through food, vitamin D helps it get into the bloodstream, and vitamin K2 takes the calcium to where it needs to go. Without vitamin K2, calcium can end up hardening in your arteries as plaque – hence why taking calcium supplements is linked to higher rates of heart disease! Learn more about vitamin K2 and its role in bone health here. If you are going to take a calcium supplement, make sure it also contains vitamin K2. I use Jarrow’s Bone Up vegan formula because it contains K2, D, magnesium, and other important bone cofactors. Supplements should never be used in place of good nutrition. But if you think that you might need a bit of help meeting calcium RDAs on the vegan diet, check out this list of vegan bone supplements. Here is a chart of vegan sources of calcium and their bioavailability. It will give you an idea of what types of food are good sources of calcium. I included milk as a basis of comparison. Remember that most adults need about 250-300mg of biological calcium (higher for menopausal women). To find out how much biological calcium you need, take the calcium RDA for your age/gender group and multiply it by 30%. *Except where noted, amounts are for 1 cup cooked.